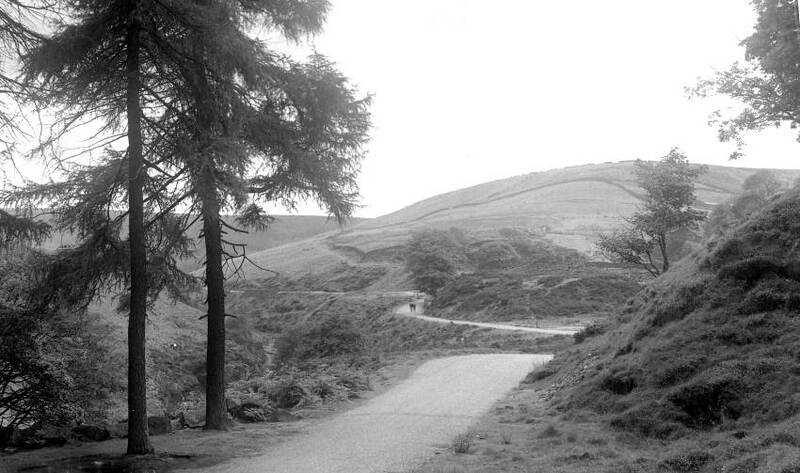 The photo id for this photograph is 229, in the Goyt Valley album. It is from this area of the Goyt Valley, known as the Paint Mill that Pickfords were supposed to have begun there business, carrying stone setts by mule trains to pave the streets of London. You are spot on with the location as always. Pickford's did own Goyts Clough Quarry for quite some time and indeed that is the location they started out in. However, I have never heard that they quarried setts. But they did quarry flat slabs of stone and these were taken, as you say, by mules to London. They were used to pave Regent Street and the floors of the Houses of Parliament.